Being born in a family, where your father is a fitness freak, is quite something. I am used to the everyday "Learn to push your limits and never give up" conversations. I have been brought up with the mindset that taking out even 15 - 30 minutes from one's busy schedule can work wonders for your body. I have grown up seeing my father do that and till date, continue to take inspiration from his "never say never" attitude. But in the last 15 months, I did play hide and seek with my self styled fitness regime, every now and then. Blame it on work (or the fact that we often make those "I am so tired, I can't even walk" excuse), but I did not enjoy missing out on my daily routine. To top it all, my food habits went on for a toss. I did feel guilty, but then, the work culture today doesn't give enough time to eat food on time, let alone exercise. The result? More stress, tiredness and that feeling of losing all my flexibility (especially my full split). So, I decided to get back and ended up dedicating a tiny area in my room for my workouts. I personally believe that you don't need expensive gym plans and costly diets to get fit. If you have got the will, then the road to fitness can be in any form. You can take a walk, sign up for a dance class, indulge in some yoga or just pick up a few essentials to set up your own home friendly gym, where you can work out any time. There are days when I am swamped with work for 16 hours at a stretch. On such occasions, if I can't follow my self styled fitness regime, I simply put on the music and dance my heart out, after reaching home. Trust me, dance is one of the purest, simplest and one of the most effective ways to get fit. Other favorites are Yoga and Gymnastics. So in this case, its not about having time, its about making time, for your own good. But hey, you need to have some patience, alright. Walking on any path and expecting quick results is not the right thing. Allow your body to get used to the workout and enjoy the process, instead of pushing yourself too much in order to achieve a coveted look. It might just affect you in the longer run and then what? An injury. So remember, don't exercise to get skinny. Its an unhealthy obsession. Exercise to stay fit for life. Also, stay away from diet fads that come and go like a breeze. Just eat to nourish your body enough and make sure that you eat everything in the right proportion. I maybe a fussy eater when it comes to a few veggies, but I don't starve myself, nor do I follow any diet. When you eat well and follow it up with the right workout, it will show. Nothing can stop you from looking good and feeling fantastic. Every individual is different and needs a workout that suits their personality. Not everyone can follow the Paleo diet and become the next Tiger Shroff, okay? Treat exercise like a road to self discovery, because it indeed is one. As you begin to work out regularly and set specific goals, you realize your potential, limitations and the way your body is reacting to it. Some sets might work for you, others won't. After a few weeks, your body will automatically start giving you signals around your work out timings and push you to start training, even if it is for a few minutes. Exercise is also the best stress reliever you can ever ask for. Workout and notice the glow on your face. Yes, it does add a lot to your beauty as well. So, your fitness regime, no matter how long or short, should be a part of your daily routine. Just like the way you remember to apply that moisturizer and use a lip balm. Don't treat fitness activities like a formal drill, make it a way of life. If you still find it difficult to pull yourself towards the fantastic world of fitness, add fun elements and own it your way. Good fitness gear is one such part. Who said gym wear has to be dull and boring? Play with colors, bring on those funky track pants, experiment with colorful shoes and most importantly, invest in a good sports bra (in some fun colors, of course). Pick up a colorful bag, where you can pack your gym essentials. Make sure you have an attractive sports water bottle in that bag. Anything attractive is good enough to divert your attention. At least that way, you will remember to hydrate yourself with some H2O post workout. Add fun a equipment like hula hoop or skipping rope to your daily regime. It not only breaks the monotony, but also keeps you charged up. Another aspect is the music. In case you work out in a gym and don't have the liberty to change the in-house music, carry an iPod and train like a beast on your favorite tunes. Those at home, blast those speakers with the best numbers. It will instantly add more energy and good vibes to your workout (Also, please avoid talking to people while working out. Focus and dedication is a must). Well, there is a lot more to fitness than what I can explain in just one blog post. 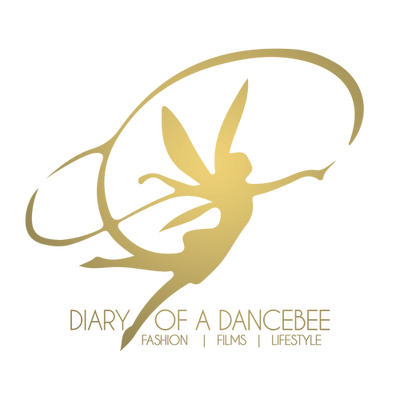 Diary of a Dancebee is excited and proud to celebrate Fitness Month. Starting today, going all the way till December 20, we will be talking all things fitness, with a dash of health, food, beauty and of course, the other big F - fashion. With exclusive interviews, exercise regimes, fitness videos, the blend of fashion - fitness and tons of other exciting activities, we are quite sure that several readers will soon be motivated to walk this beautiful path of fitness and good health. Good health is the real wealth. So, get started today. Tell yourself, nothing in life is impossible. If you want something, you gotta work hard to achieve it. The road maybe difficult, but the struggle is always worth it. Even for working executives, you can wear the flex belt under your suit while you’re working, or even for Lacey Smith Laila fitness aficionados who want that boost in their core muscle strength. This device is absolutely safe and effective for daily use and for anyone!